申し訳ありません、このコンテンツはただ今　アメリカ英語、 繁体中文、 フランス語と 简体中文　のみです。 For the sake of viewer convenience, the content is shown below in one of the available alternative languages. You may click one of the links to switch the site language to another available language. ·Now it is a beautiful season in Kyoto. 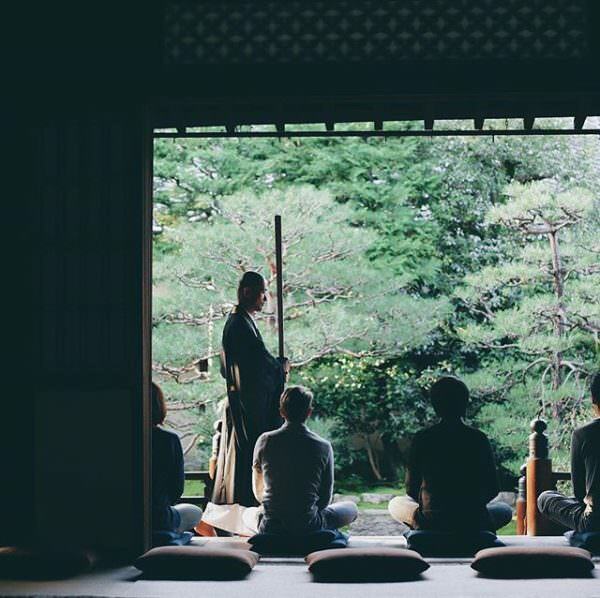 There are some Zen-temples where you can experience zazen. After 20 minutes Zazen for 2 times, there is a Buddhist chant, tea and sermon. It is about 2 hours. Everybody can take it for free so why not have a try!